Although Poland has operated a robust programme of production grants since 2005, the proposed cash rebate is the first incentive of its kind for the country. Officials hope this will rejuvenate the nation’s positive image within the competitive Eastern-European market. This new law will provide the Polish Film Institute a EUR46 million with which to execute the 30% cash rebate scheme. 10% of the budget will be allotted for animated films and series, making sure that the established industry, which has long been a cultural export of the country, continues to grow. All submissions made by a Polish producer, co-producer or contractor will be evaluated with 28 days. Currently, there are only production grants available for international filming awarded on a case-by-case basis. The International Co-Production Fund provides three tiers of grants from EUR350,000 for non-European productions, EUR500,000 for minority productions and up to EUR1 million for majority productions. 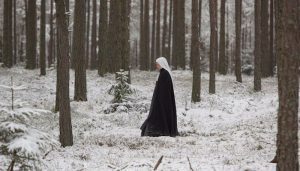 In recent years the Polish Film Commission has placed more emphasis on international co-productions and minority projects rather than solely supporting domestic filmmakers. The average subsidy for co-productions has steadily risen over the last few years and in 2017 1/5 of the co-productions that were awarded funds received over EUR370,000. This new rebate will aid Poland’s goal of attracting more international productions by placing themselves in line with neighboring countries. Competitive cash back incentives are now the norm in the region and range from 25% to 45% of production costs. 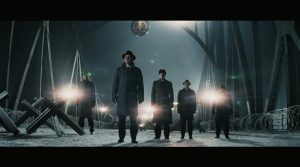 Hungary recently boosted its incentives program to 30% in a bid to maintain its title as the highest-per-capita film spending nation in Europe, and Romania unveiled a new rebate of up to 45% for productions shooting in the country. The draft bill has been approved and the new legislation is expected to pass with ease into law shortly. Film Commission Poland with be returning to FOCUS the meeting place for international production in London on the 4th & 5th of December. Click here to register your interest in the event.